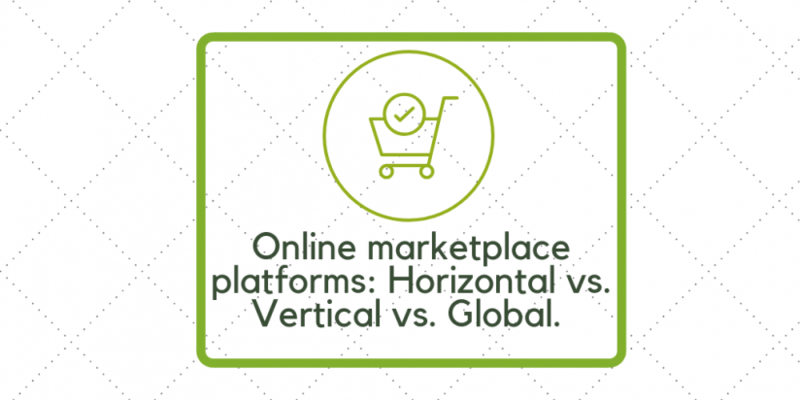 Online marketplace platforms: Horizontal vs. Vertical vs. Global. Earlier we wrote about Horizontal and vertical types of online marketplace platforms. But in recent years we encountered with a new platform type – global one (like eBay). Let’s compare the three types of marketplace platforms: Horizontal vs. Vertical vs. Global. As the name implies, are focused on a specific area or niche. Unlike generalist marketplaces that need to cater to a variety of industries, vertical marketplaces are able to offer a greater depth of product as their sellers often have greater expertise. An example would be a seller of automotive parts for antique cars. A fun example of a company that functions this way is StockX; it focuses on selling authentic sneakers and, one would assume, its buyers are more sophisticated than the average Foot Locker sneaker buyer. Many sources – one type. Are similar to generalist marketplaces in that they also offer a wide variety of goods and services. However, they differ because they have a secondary characteristic in common. In the case of thredUP, the inventory is all second hand. The same could be said of sites like Poshmark that sells used women’s clothes. Horizontal marketplace sells products of many types by sharing characteristic. Are platforms where buyers and sellers are spread across long distances. Regardless of where a provider or listing is located, buyers and sellers can benefit from the freedom of choice and an expanded inventory. Airbnb, for example, falls under this category because travel is a global experience, and you can book a room in Nepal from Berkeley. Other marketplaces such as Upwork or eBay also fall under this umbrella because there’s plenty of work that can be done remotely in this day and age. A global marketplace concentrates offering efficient marketplace for community of people. To be a successful entrepreneur in the multi-vendor e-commerce business, you have to choose the right one. And to find the reliable software development partner! This is a comprehensive guide on Ruby on Rails online marketplace development. Check it out! Marketing manager and a tech writer at Syndicode who speaks more than four languages.